To prevent hyperangulating movements while enabling running and ball game practice. 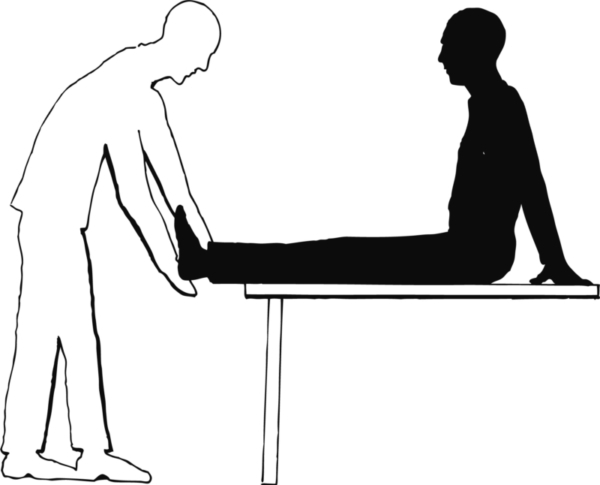 Preventive and functional treatment of ankle sprain. Tip: this splint is available as a kit. 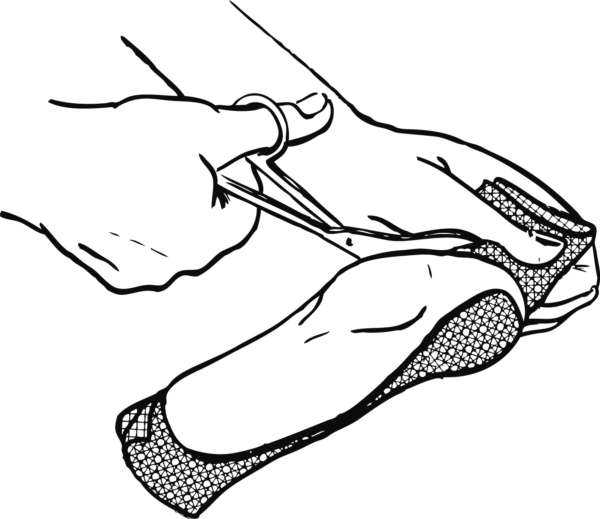 Slip on a cotton or Neoprene sock. It is very tight around the heel. Cut out two Luxofoam disks of about 5 cm in diameter. 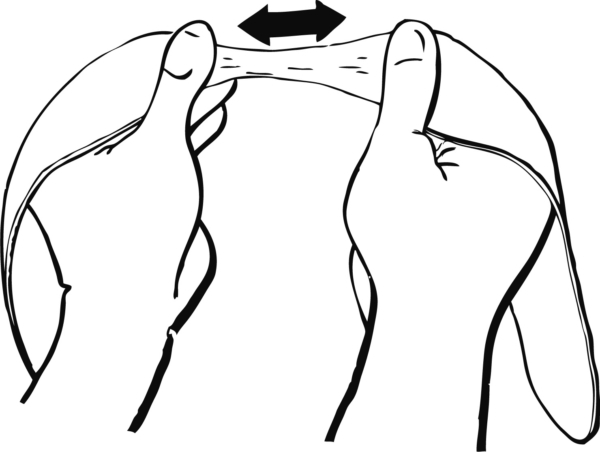 Stick the Luxofoam and silicone disks on the sock together in order to protect the malleoli. 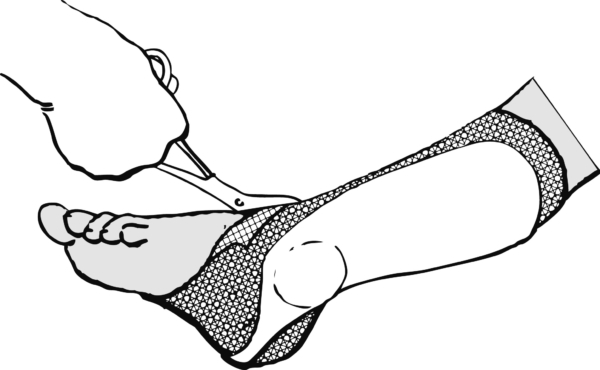 Note the asymmetry between the front and the back of the splint shape. Place the wet and activated material on the worktable. 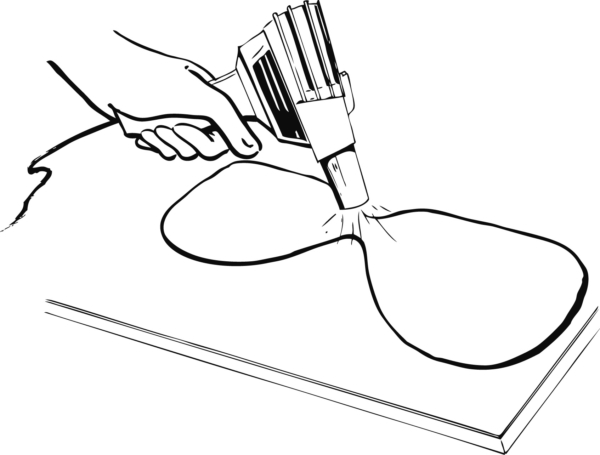 Quickly and carefully dry the top side and heat it with a heat fun to optimise adherence. The pattern is stretched in the middle according to the size of the heel. The result is a very thin transversal section. 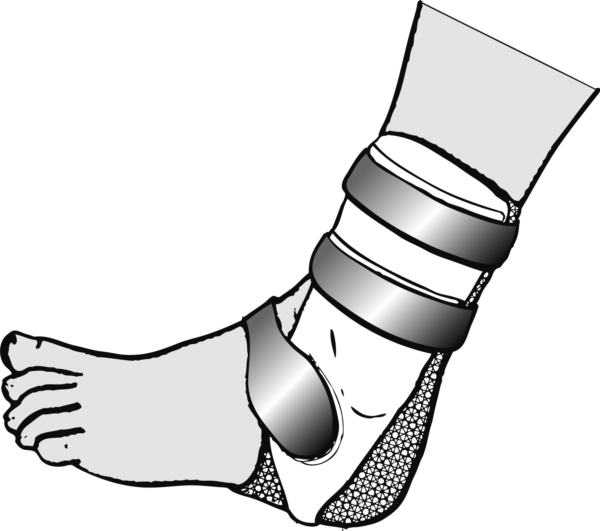 The transversal section is stuck to the cotton or Neoprene under the heel. The two (non-stretched) upward portions are shared around the malleoli. The sock is cut in front. The edges are marked and cut. Two self-gripping closures are stuck right under the malleoli. 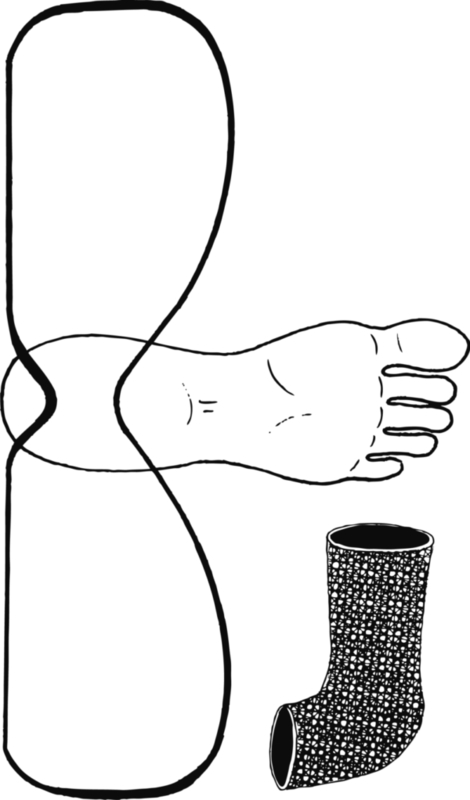 A large loop band (optionally fitted with foam) is tightened at the forefoot. 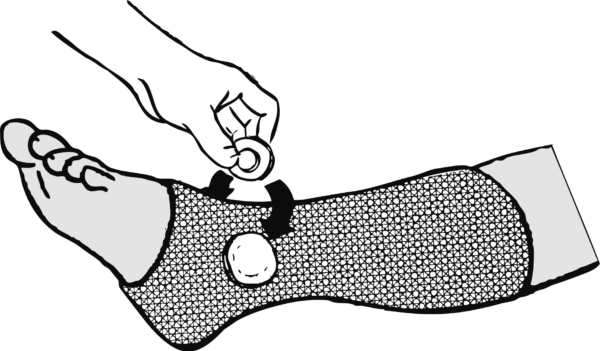 The orthosis is fixed with 1 “Velstraps”, one right under the malleoli, the other at the upper end.